A key part of our mission is to guide the application of Agile practices, principles, and values through our career-long certification path. Our community of coaches and trainers are focused on providing the knowledge, skills, and experience that support Agile transformations for both individuals and organizations. Coaches Clinics are a unique and free service designed to help you with specific challenges you've encountered on your way to a more Agile way of working. Organized by the training and coaching community, these 15-minute coaching sessions are available during our Global Scrum Gatherings, Regional Scrum Gatherings, and many Agile events around the world that our coaches and trainers attend to support the community. 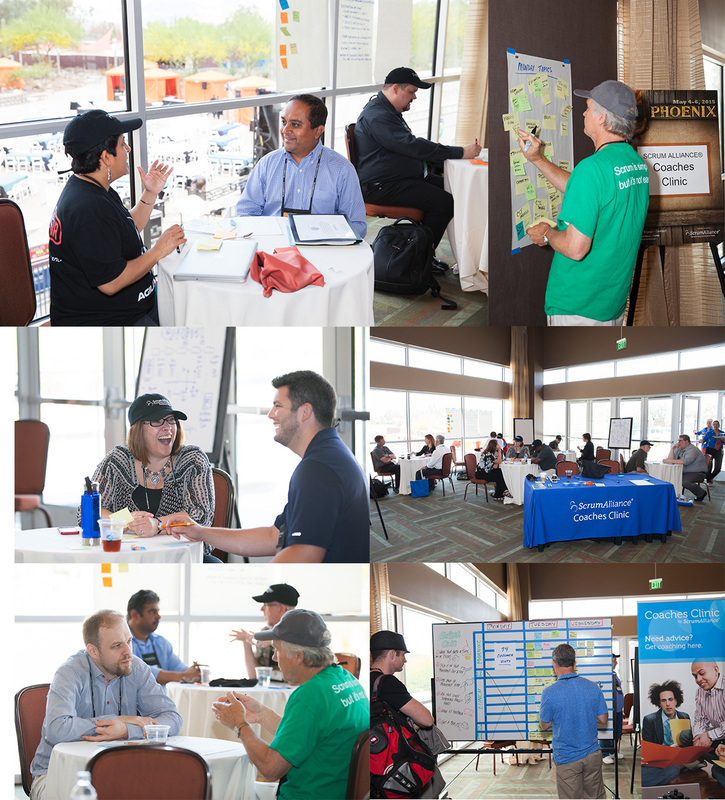 Based on their individual needs, participants are matched with volunteer coaches, many of them CECs and CSTs, to discuss technical practices, organizational change, Scrum, Kanban, Agile Coaching as a career, and topics such as breaking down development silos to coordinating multiple teams and educating upper management for enhanced agility. Hear why our coaches are so passionate about Coaches Clinic. "I love to meet people who come to the Scrum Gatherings — curious, concerned, and cheerful people working to improve their organizations and their individual work lives. It is very rewarding to see them walk out of the clinic with new understanding, new ideas to consider, and smiles on their faces." At times we’ve had more than 20 coaches and nearly 400 coached members during an event. Key to the success of these clinics is the approach: coaching versus consulting, with coaches helping participants discover their own solutions rather than prescribing one. Be sure to stop by the Coaches Clinic at an upcoming Gathering or Agile event. If you are organizing an Agile event and would like to find out how to coordinate Coaches Clinic, let us know!